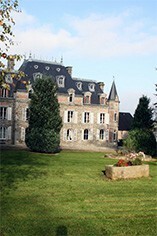 Domaine de Coquerel is located in the area of the Mont Saint Michel, near Saint Hilaire du Harcouët, on the border of Normandy, Brittany and Maine. 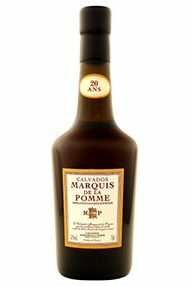 The domaine has won several accolades for the quality of its Calvados, among others five prestigious awards awards by the office of the French President. Founded in 1937 by Rene Gilbert, it was originally called Company Calvados Gilbert, now named Domaine du Coquerel. Coquerel Calvados matures in a variety of casks (small oak barrels and hogsheads) all made of white oak from the Limoges area which is famed for bringing out the best qualities in the brandy. With subtle aromas of grilled almonds and a lively spicy flavour.